One of the most popular online poker tournament formats at PokerStars is called “Spin and Go”. Thousands of poker players compete in these extremely quick tourneys with potentially huge prizes up for grabs. If you’re lost because you’ve never played a Spin and Go – don’t fret. By the time you’re done reading this guide you’ll know exactly what a Spin and Go is, what you can win and some tips for beating your opponents. What is a Spin and Go? 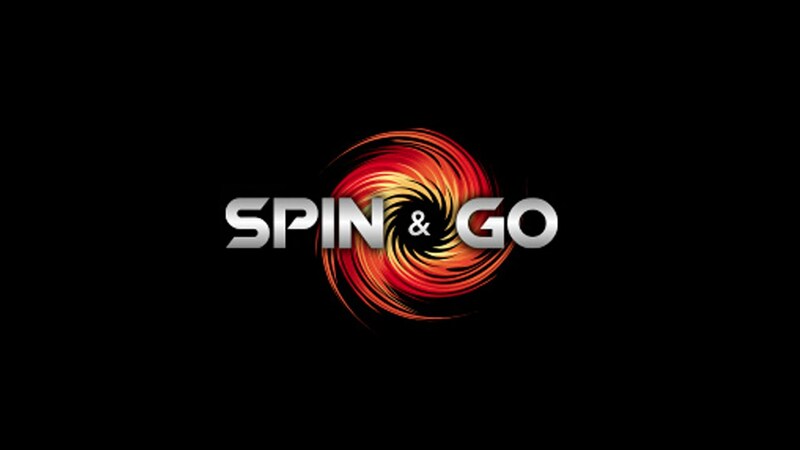 Spin and Go’s are hyper-turbo tournaments featuring only three players. Everyone in the tournament starts with only 500 chips and the blinds go up quickly, so these are essentially like playing roulette. There is very little strategy involved when playing Spin and Go’s because they’re so quick. You can’t afford to sit around and wait for a big hand. Plus, even if you get a big hand, you could end up losing to a much worse hand. I’ve had a lot of Spin and Go’s where I’ve been burned with the best hand, but that’s part of the game. Players can choose to play at multiple stakes. There are $0.25, $1, $3, $7, $15, $30, $60 and $100 Spin and Go’s. You can win up to 10,000 times the buy-in, so you can potentially win $1 million in the $100 Spin and Go. The odds of landing on the biggest prize (10,000x) is 1 in 1,000,000, which is better than the odds of winning an online lotto. The smallest the prize pool can be is 2 times the buy-in. So you could win as little as $2 in a $1 Spin and Go, which is worse value than playing heads-up, but the reason you play these is for the chance to win big money. When you initially start a new Spin and Go a wheel will spin to determine the prize. These games end quickly, so you can jump into more right after. Plus, you can multi-table Spin and Go’s at PokerStars. Sometimes PokerStars will run a promotion where players will be able to win up to a $1 million on the smaller buy-in levels as well. If you enjoy gambling rather than grinding, Spin and Go’s might be exactly what you’re looking for. These hyper-turbo S&G’s have a high rake, but they also have a lot of fish. In order to breakeven while playing these you need to win 35.1% – 35.9% of the time – the percentage varies slightly based on the buy-in. In order to turn a 5% ROI you’ll need to win 36.9% – 37.7% of the Spin and Go’s you enter, which isn’t too bad. One thing many people will do is they’ll not try 100% or focus on Spin and Go’s with the lowest prize multiplier (2x the buy-in). It won’t work out well for you if you don’t do well in these, as many prize pools will be the lowest and you may not even see one of the big multiples. Several pros with 1000’s of games played haven’t seen any huge prizes. However, to turn a profit playing Spin and Go’s you just need to play steady and have a small ROI. Why? Well, with enough volume you’ll be earning a ton from the PokerStars VIP program. You’ll need to grind these all day, but you could be earning up to 30% rakeback plus other perks at the top of the VIP program.